This is a 2D fighting gaming along the lines of Marvel Vs Capcom. You have characters from different series fighting against some grandiose thing that caused their worlds to collide in the first place. A great thing is this was a joint Project between Leaf (Developer) and Aquaplus (Plus) which is cool. I actually only recognized a few characters though. I know someone may not see this as a big deal but everything seems pretty darn balanced. It's fast and responsive and no one really seems to be Overpowered or unbalanced. They have the normal system which you play like a normal fighting making your own combos and canceling in to specials. The simplified version of controls remind me of playing super smash bros tapping square would do I light combo. Triangle and directions were for special attacks and circle was your finishing moves. You pick your main fighter and their assist partner. Making a team that really works together is great though. Like My favorite Character was Chizuru because she looked like a nice women. However Chizuru has mostly melee attack so I played around with assist partners and found a girl who shoots a pistol Satsuki. Perfect now when my opponent is trying to get a way I just call her to pop a cap in their anime asses! One big issue which probably will steer a lot of people away from it is the fact that this is a fighting game out in the NA where very few of the characters games have been released. 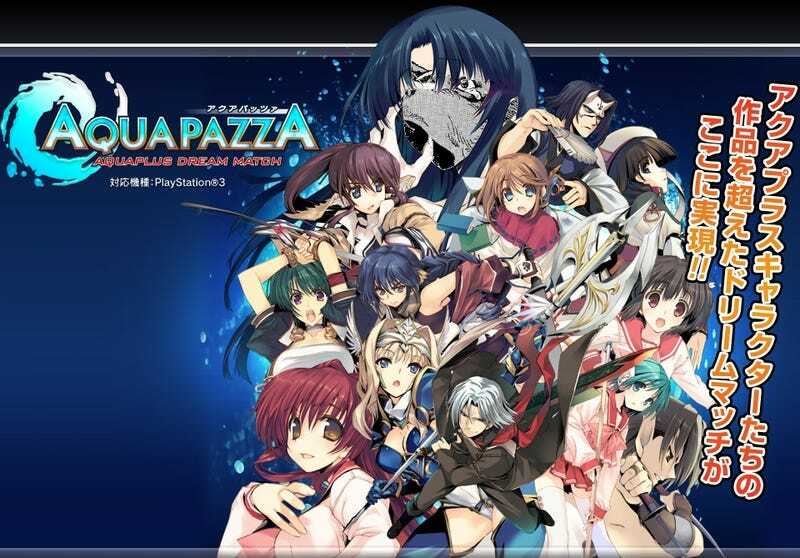 It featuring characters mainly from older PC visual novels. Most of these series are only well known in Japan for obvious reasons. I am happy to know that I will be watching White Album soon thanks to a certain review. I got nothing. Besides the fact that it would have been great if this leads to oher games from Leaf being released overseas. I don't mind visual novels at all! If you're looking for a solid 2 D fighting game for a change from the driving pavement fighters, cops vs marbles of even the fighters of kings, Give it a go. It's not a 60 game and they priced it accordingly.